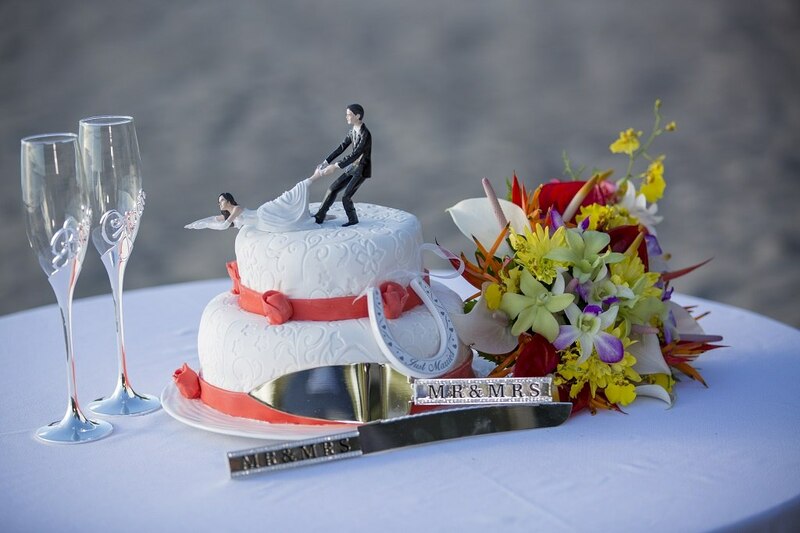 The flower bouquet and buttonhole included in your Elope To Paradise Package are made from our local tropical flowers such as orange Birds of Paradise, pink Anthuriums and red or pink Ginger Lillies. 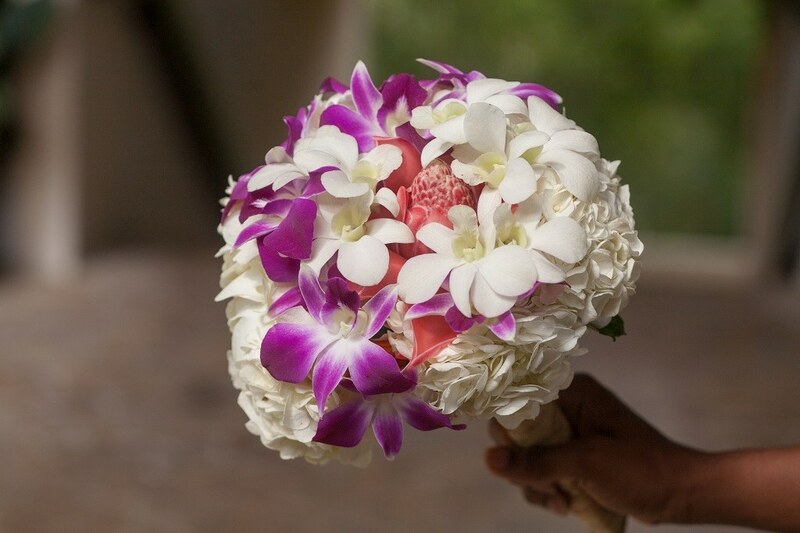 We can arrange for more elaborate or special color scheme bouquets at a surcharge. 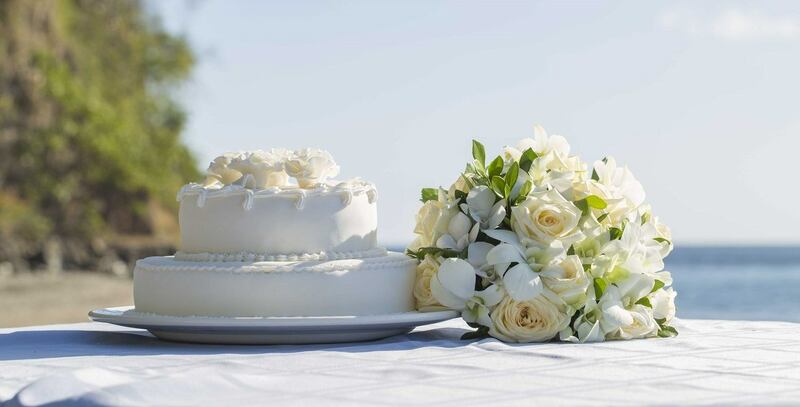 The most popular additional flowers are white orchids and roses. Advance notice is appreciated as these flowers may need to be imported.